On Saturday in the Scottish Championship against Poloc at Benfield Park Nunholm, Dumfries’s Scott Beveridge and skipper Stuart Corbett-Byers hit 85 and 78 not out respectively in APD Dumfries’s testing total of 241 for 7 in 45 overs. 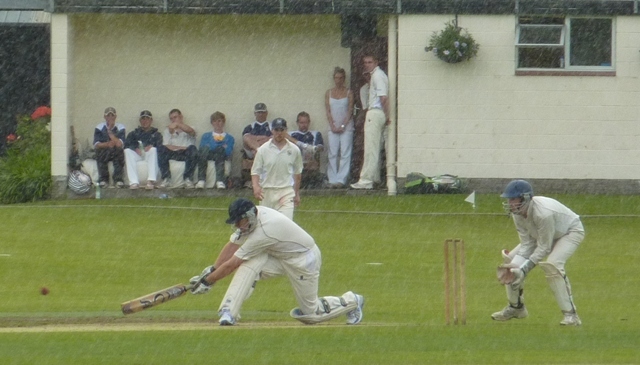 Then the rain finally set in and the match had to be abandoned without a further ball bowled. 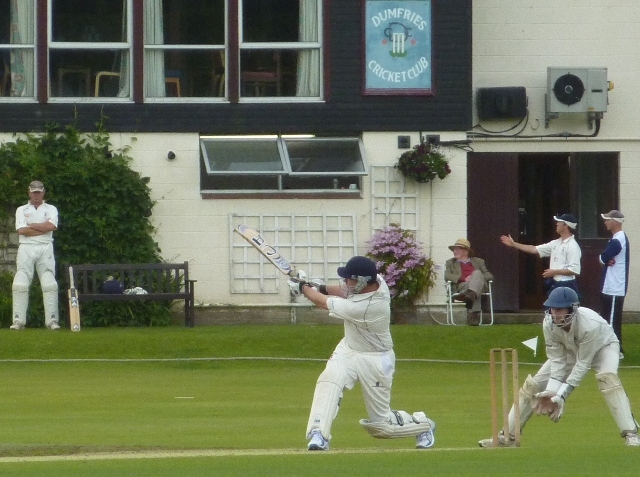 Dumfries’s Niall Alexander returned from injury to play for Scotland U15s in the ECB Championship this week. Scotland played away against Herefordshire and Shropshire and Alexander had a promising return taking one for nine in his opening spell against Herefordshire. Scotland U15s play the return match against Shropshire at Benfield Park Nunholm next Monday, July 25th where Niall will be hoping for a Scotland appearance on his home ground. Tom McBride has been preparing with Scotland U19s for the U19 World Cup qualifiers in Ireland which start next week. The squad travel on Sunday with their first competitive match, one of nine fixtures, against Canada on Thursday. In the West SNCL Reserve league on Saturday the Site Electrical Nunholm match at Albert Park was cancelled due to the rain as was the West Sunday league match for Brammer Dumfries at Glasgow Accies the next day. 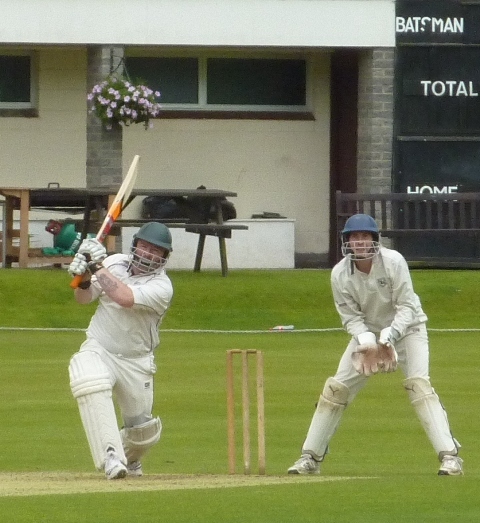 This weekend Dumfries play at Gala in the Murgitroyd Twenty20 Borders final on Friday evening. On Saturday in the Championship APD Dumfries play Corstorphine in Edinburgh and, in the West SNCL Reserve League, Site Electrical Nunholm are at home to Cambusdoon. The Sunday XI, Brammer Dumfries, play at Ayr in the West Sunday League. Cricket Camp: Next Tue/Wed, 26th/27th July a Cricket Camp takes place at Nunholm from 10 to 3pm each day for those aged 7 to 16. The cost is £20. For more details, or to book a place, contact dumfriescricketclub@gmail.com or Trefor Williams on 01387 256455.